Hundreds of bands have joined a campaign to tackle misogyny in the music scene, and support victims of sexual abuse. 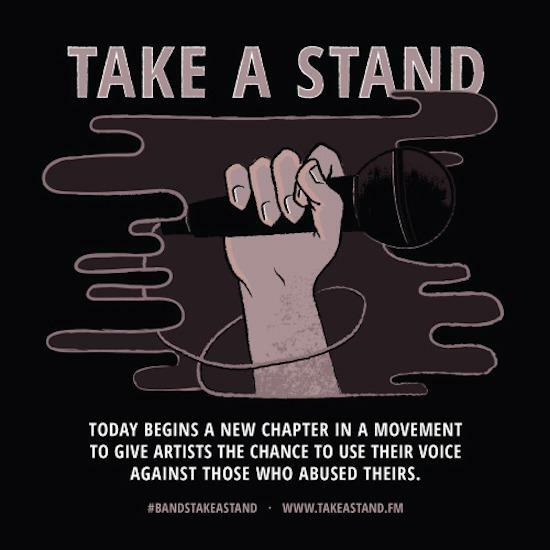 ‘Bands Take A Stand’ is a campaign that is attempting to raise awareness of the “manipulators and abusers” whose careers have been allowed to continue without facing any consequences, or criticism from the industry. The campaign says its mission is “to create safe spaces and use our collective voices as a vehicle for positive change within our music community". Over 300 bands and labels have signed up to the cause so far, including Brooklyn queer rock duo PWR BTTM and UK band Summer City. Any other bands interested in getting involved are invited to look into the project here. The artists taking part are encouraged to use Bandcamp to sell their music on a pay-what-you-want basis, with 100% of the profits going to A Voice For The Innocent, a charity that supports victims of sexual abuse. You can find out more about the campaign on their website or on their Facebook page here.